Galatians 1:11, "But I certify you, brethren, that the gospel which was preached of me is not after man." 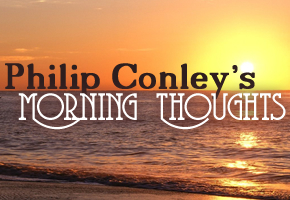 This morning, we continue to examine some things that go against the grain of the conventional wisdom of man. Two of the paramount teachings of Scripture are that 1. God is a rational being that works according to order and not disorder and 2. not all of God's order computes to man's thinking. For example, a simple perusal of the natural creation shows order, structure, and design. As Paul asserts in Romans 1, the natural creation screams out to the testimony of ordered creation and not disordered chaos and evolution. One of the most fanciful and foolish notions to come along in recent years is the "chaos theory" that attempts to explain the universe as a series of chaotic events bouncing off each other to give the appearance of order. Such stretches of the imagination are void of Biblical or sensical rationale. Another example of God's order that does not generally equate to man's thinking is the structure He designed for worship of Him. It is this field that we will attempt to plow in this morning. Perhaps the most priceless but undervalued thing in this world today is the gospel. Its order, design, and application show forth the beauty of the Designer, and when seen in its proper light, one can begin to understand why it is the way that it is. When talking about the gospel today, one must take care to define the term particularly, for many use the term more freely than it should be used. Not anything qualifies as the gospel as the Bible records it, and nothing short of what the Bible outlines as the scope of it could suffice, replace, or sufficiently augment it. Therefore, let us examine the scope of the gospel and some related particulars to perhaps "catch a glimpse" into the glory of the Almighty One who instituted it. The word "gospel" is defined Scripturally as "good tidings." When Christ uses the word "gospel" in Luke 4, He quotes from Isaiah 61 where the phrase "good tidings" is used. Therefore, we have a tidy definition from the best commentary of the Bible: the Bible. Beyond just the definition of the word, Paul gives some additional particulars to the type of good tidings in the same chapter as our study verse. Galatians 1 contrasts the gospel against everything else, including things that seek to stake a claim as the gospel. Basically, Paul concludes in verses 8-10 that nothing other than what he preached to the church and what the other apostles of Christ were preaching could EVER claim to be the gospel. While we may receive good tidings in a natural way – such as the birth of a child – the good tidings of the gospel are such that constitute the heralding of the teachings of Christ and His apostles. Nothing else comes close or should even be considered: rather it should be accursed. Knowing the defintion and its associated scope, let us examine some things found in our study verse. Paul desires to certify these brethren about something. To certify something is to assure, strengthen, or deepen the knowledge of something. When we send a parcel by certified mail, the type of mailing is supposed to give the sender higher assurance and trust that the intended parcel will successfully arrive at its intended destination. Paul desires to assure the brethren of some information. What this language should do to the reader is perk up the ears even more about what is about to be said. Just as Christ prefaced statements with "verily, verily" to perk up the ears, so Paul here emphasizes what is about to be said. The emphasized statement is that the gospel Paul preached is not after man. Paul very succinctly concludes that the gospel of Christ – good tidings from a far country – does not compute with man's thinking. For that reason, one should never expect the gospel to be wildly popular with men in general. One of the clearest examples I ever heard on this point was brought during a sermon by way of analogy. Who was the greatest preacher on this earth? Simple answer: Jesus Christ. Who did He personally teach? Another simple answer: His apostles. What was the end product of His personal ministry on this earth? Somewhat longer answer: the best preacher the earth ever saw, His forerunner in John the Baptist, eleven disciples (we exclude Judas), and another seventy sent out by Christ personally while He was here saw an end product of just 120 followers in the 1st chapter of Acts. While we see that the numbers did grow in the book of Acts, man's wisdom would expect the greatest preacher and His personal students to be more effective than 120 by the time of His ascension back to glory. Another principle about the gospel that is not after man is that man did not conjure up its precepts. What the apostles were given was handed to them from the hand of the Master. Even Paul who did not walk with Him during His ministry received the teachings he taught from the hand of Christ. Those same things – unchanged – are supposed to be handed down from generation to successive generation. (II Timothy 2:2) Man's wisdom could never have designed something as beautiful as the teachings of Scripture from which the gospel is to be sounded. Only the Divine breath of the Almighty could inspire such a beautiful product! Even though men wrote the source material for the gospel (Scriptures), the Scriptures were not after man. Likewise, even though the gospel is preached by men, the gospel itself is not after man. When considering those glorious times when men are taken to "other places" while preaching, no oration of man – however charismatic – could hope to compete with those glorious spiritual scenes. So, the source material was written by men, preached by men, and preached to men. However, when men receive the gospel, that cannot be said to be after man either, for it completely flies in the face man's conventional wisdom. Nothing about it is appealing to men. As my natural father used to say, "There is something special about telling people that we are dirty rotten sinners and them love you for it. Then you tell them that God rescued them and saved them without help from them and even in spite of them, and they still love you for it. Something special about that." I say, amen and amen. Such a reception of the principle teachings of the gospel cannot be after man though it is preached to man. Let us consider one more point about the gospel not being after man before seeking to tie these things together to pull back the tapestry a little into God's design. Something unique to the gospel is that it stands alone. Anything added to it, no matter how sincere, could beautify it. Rather, any addition robs it of its glory, and the addition turns the message and occasion into an ugly, accursed thing. Recently, I was driving along and saw a sign on the side of the highway that read, "This Saturday Night – Auditions for the Next Gospel Idol" with a church's address telling everyone where to go. My first thought was how ironic it was that the words "gospel" and "idol" were in the same sentence. Yet, I understand what they are shooting for. They are hoping to excite the interest of people to come in based on the success of the related television show (American Idol) and calling the enterprise the "gospel." This "makes sense" according to man's wisdom, but such thinking – again, no matter how sincere – is after man. God, on the other hand, chose the foolishness of preaching to save them that believe. (I Corinthians 1:21) Preaching is not foolish in God's eyes, but He understands that His order and design seems foolish in the eyes of man's thinking. As an engineer, my mind is geared to seek "a better way." Engineers are taught and encouraged to press things to find the more efficient, effective, less costly, etc. way to do things or design something. Yet, that is a natural enterprise in an imperfect system where losses are seen and measured. God designed an order and arrangement of spiritual activity that is lossless. My efforts have losses in them, but God's design and order is lossless. To add anything to God's design and call it the gospel equates to telling God that imperfections are inherent to His system. So, having discussed these particulars, what reason could God have for designing things the way that He did? Why did He choose the foolishness of preaching the gospel as the prescribed way to worship Him? Why did God do it that way? Of course, Scripture abundantly teaches that God does things that please Him, but does Paul give us any indication in this verse why God was pleased to do it that way? I believe that he does. Should the gospel have been after man, then God's glory is stripped from Him. What if man is given the freedom to teach whatever he pleases in the name of the gospel? God is not glorified. What if man has the right to add whatever he pleases to it? God is not glorified. What if the measure of the gospel's quality depended on the preacher's natural skills of oration or personal charm? God is not glorfied. When the gospel comes forth in power from Almighty God, there is an intangible quality to it. We cannot point to a man's prowess to prove the point any more than we can point to a man's original or creative thought in it. In all things, it stands alone and supreme to all other endeavors in life. Man's wisdom fails to grasp it. Man's thinking cannot comprehend it. Yet, God's children have been rejoicing in it for generation after generation. Spiritual souls have been fed from it for centuries and will continue to do so for as long as this earth shall stand. Though not after man, man has benefited from it. Seeing this glorious treasure cannot be searched out, exhausted, nor found anywhere else, may we seize upon every opportunity to partake in it. It does the soul good like nothing else can. As Christ Himself proclaimed in Luke 4, it binds up the brokenhearted, salves the soul, and proclaims liberty to the captives.